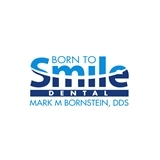 Born to Smile Dental (Cedarhurst) - Book Appointment Online! Dr. Bornstein received his Doctorate of Dental Surgery from Columbia University College of Dental Medicine in 2004. He went on to complete a General Practice residency the following year at New York Hospital of Queens; an extensive year of training in general dentistry. Dr. Bornstein regularly attends continuing education classes to stay up-to-date on the latest advances in dentistry. He and his wife Nicole have three sons, and he enjoys basketball and music in his spare time. Visit was quick and painless with Dr. Bornstein! Would recommend him to anyone!